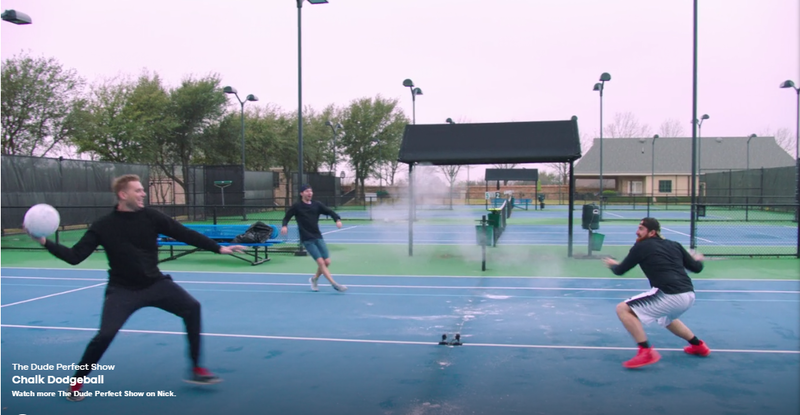 The trick-shot brotherhood that is Dude Perfect are bringing their action-packed challenges to Nickelodeon in an all-new season of the comedy-sports series, The Dude Perfect Show, premiering on Saturday, July 22 at 9:00 p.m. (ET/PT). 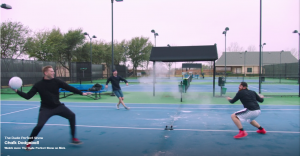 Comprised of five best friends—Tyler Toney, Cody Jones, Garrett Hilbert, twins Coby and Cory Cotton, and their beloved panda mascot—Dude Perfect take fans inside their 25,000 square-foot extreme-sports paradise as they dream up the next viral video. This season will feature some of the Dudes’ most outrageous stunts, including a 170 foot shot into the world’s largest basketball hoop from the top of a ten story building, creating life-sized board games and blindly navigating each other through “trust obstacles.” Upcoming episodes will also feature some of today’s biggest athletes and celebrities such as Bethany Hamilton (professional surfer), DeMarcus Ware (nine-time NFL Pro Bowler and Super Bowl Champion), and Jack Griffo (The Thundermans). With more than 45 million fans and followers, over 3 billion online video views and the #1 Sports Channel on YouTube globally, Dude Perfect has turned their camaraderie into a global internet empire. For the latest information on The Dude Perfect Show, fans can visit Nick.com and follow Nickelodeon on Instagram, Twitter and Facebook. The Dude Perfect Show is created by Rob Dyrdek and Shane Nickerson of Superjacket Productions Inc. (Fantasy Factory, Ridiculousness).